Studio Erde veranstaltete dieses Jahr wieder den Surround-Sound-Konzertabend im Casino Hangar auf dem 20. Fusion Festival in der Müritz. Wir verwenden unsere Geithain Beschallungs-Topteile um einen 10-kanaligen Lautsprechertring Ring ausserhalb der Textilkuppel des Casino-Hangar zu bilden, um innen ein Wellenbad zu veranstalten. Mit unserer eigens entwickelten Max-Msp-Software und unserem selbstentwickelten 6-Fach-Analog-Joystick-Panner können wir die Klangquellen der Bands und elektronischen Künstler behutsam im Raum bewegen. Studio Erde richtet nun schon seit dem Jahr 2009 die Wellenbad-Surround-Sound-Konzertnacht im Casino-Hangar des Fusion-Festivals aus. Wir verwenden unsere Geithain Beschallungs-Topteile um einen 10-kanaligen Lautsprechertring Ring ausserhalb der Textilkuppel des Casino-Hangar zu bilden, um innen ein Wellenbad zu veranstalten. Mit unserer eigens entwickelten Max-Msp-Software und unserem selbstentwickelten 6-Fach-Analog-Joystick-Panner können wir die Klangquellen der Bands und elektronischen Künstler behutsam im Raum bewegen. (die Eng. Projektbeschreibung unten). The Wellenbad sound system is based on Ambisonics technology, whose foundation was developed by Michael Gerzon (http://de.wikipedia.org/wiki/Michael_Gerzon) in the 1970s. It differs from conventional, stereo-based surround sound systems in that doesn‘t provide the listener with phantom images. Instead, Ambisonics creates a sound field with a much larger sweet spot, so that the impression of cohesive spatial sound may persist even outside the actual speaker array, depending on the number of speaker channels used. Consequently, the Wellenbad system is capable of delivering impressive spatial sound to a large audience. The periphonal approach facilitates off-plane speaker locations, unlocking a true three-dimensional acoustic space. 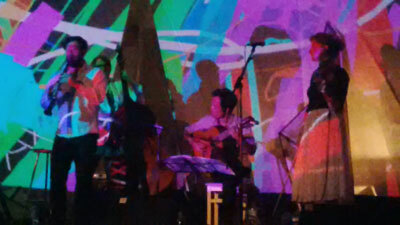 Ambisonics-based sound systems also have been proven by others to be suitable for live concerts. 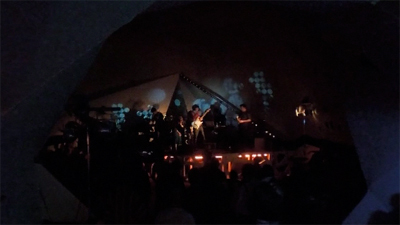 An Ambisonics-driven Funktion-One sound system was used at The Glade Festival in Glastonbury (UK). The current Wellenbad system integrates a conventional stage PA with Gaithein tops. Using a custom control software, this system can be adapted to the local conditions, allowing for a non-circular, asymmetrical speaker setup to accommodate to unconventional venues. A flexible number of virtual sound sources may be placed within the sound field, using either a custom crafted hardware controller for live performance, or leveraging pre-recorded MIDI automation data to program sound source locations and movements. 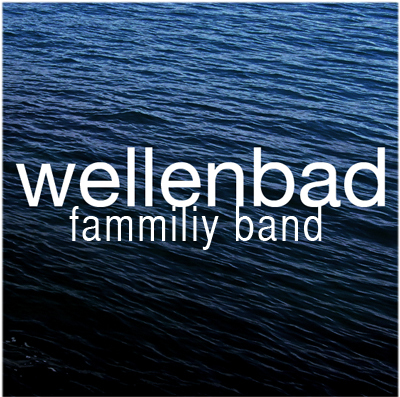 Also there will be the surround concert of the wellenbad familiy live band at sunday night 21:00.
so today it got official. beyond the announced installation of our surround system the wellenbad fammiliy band will play with the big setup at casino hangar / fusion festival in ambisonic surround sound! 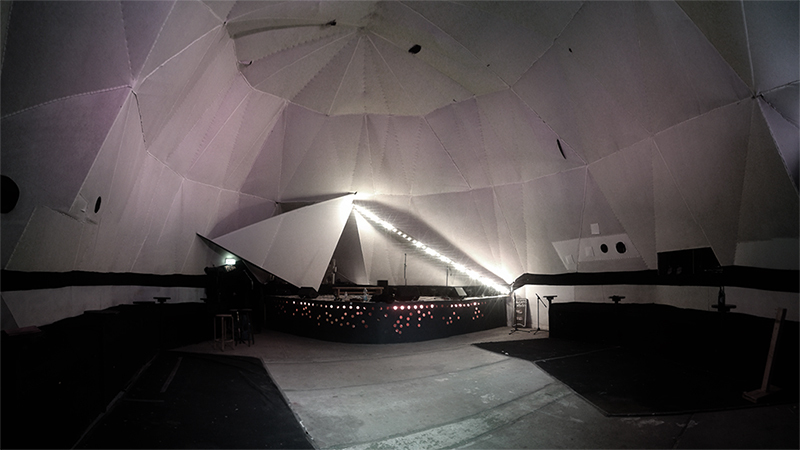 we are proud to announce: wellenbad is again featuring the kind and faboulus casino hangar crew at fusion festival 2012. All further details will follow asap! se u there, and i swear there will gonne be NO rain! We are proud to announce to be part of the upcoming ORWOhaus Festival at 06.07.2012 and 07.07.2012. There will be an wellenbad stage with a eight speakersetup for live konzerts. Beside of a bunch of live bands (till now: From The Studio, Roads To Multiverse, The Magic Touch, 4 Axid Butchers (I)) there will geonna be payed multichannel surround music over the nights. and i swear – the weather is gonna be nice!